Statistics for cyclists injured by ‘car door incidents’ have just been released for the last few years. I’m fairly sure that this information has been available previously but this is a nice summary in response to a Parliamentary Question. Between 2009 and 2011 1587 incidents have been recorded resulting in injury, 2 resulted in death. 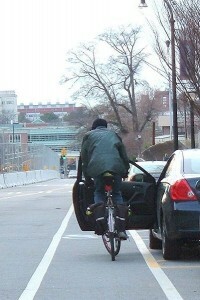 So… don’t ride in the door zone! Heed the advice from Silly Cyclists and watch the video below. This entry was posted in Uncategorized on March 7, 2013 by Matt.